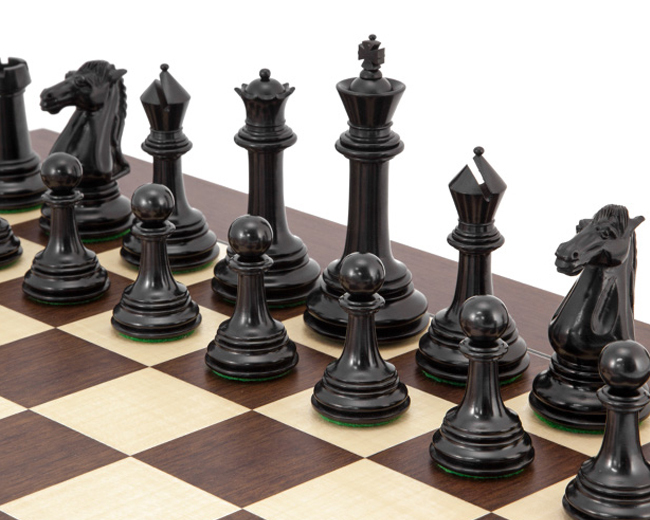 The Parthenon chessmen are deluxe quality, large, elegant and beautifully finished in ebony and graded boxwood. The design is based on the familiar Staunton lines but presents a more classical, columnar look. 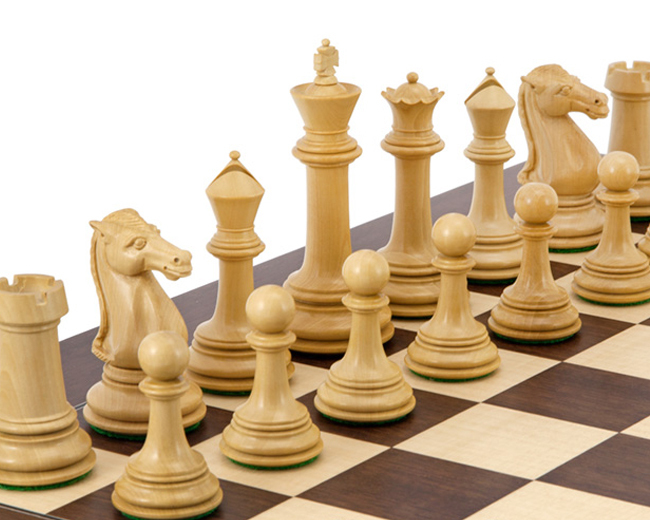 This is most noticeable in the shape of the long shanks and the angular lines of the bishop's mitre. 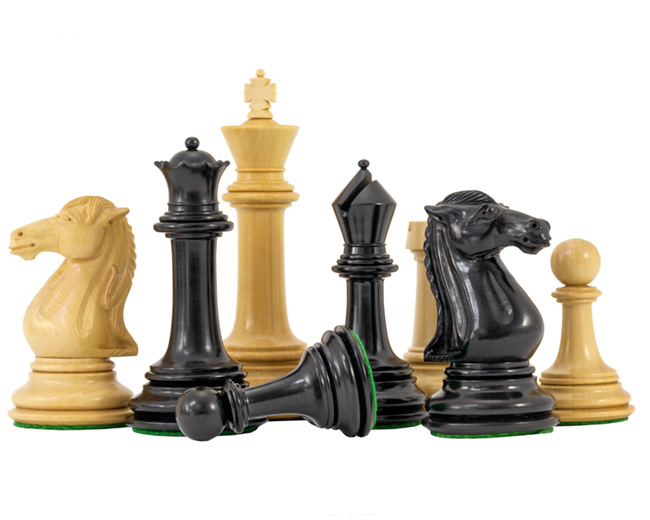 Each chess piece is well balanced, weighted and polished to a very high sheen without the use of artificial or synthetic waxes or lacquers. 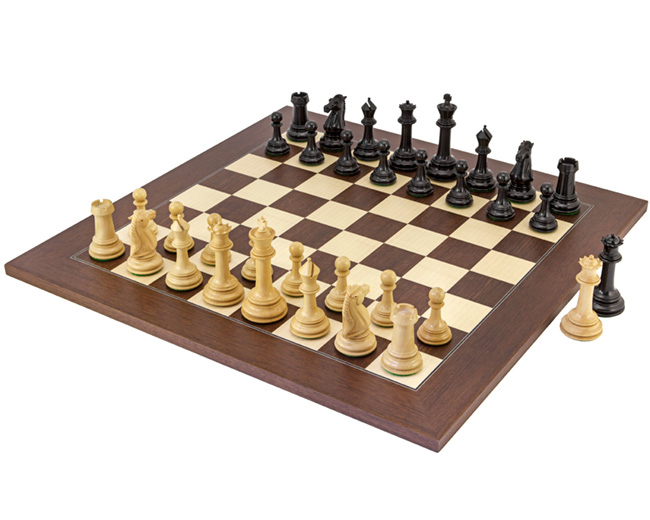 The Large dDeluxe Montgoy Rosewood and Maple Chess Board is made just outside of Barcelona in Spain. 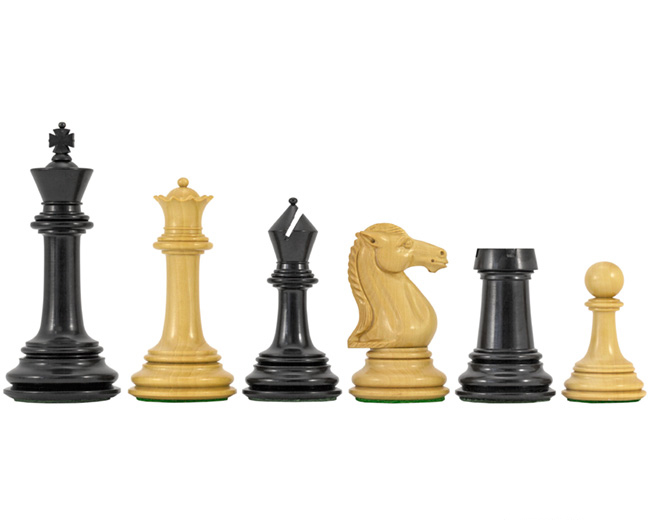 The attention to detail is sublime - sub millimetre sharp lines and inlays are supported by grain matched playing squares and a robust matt finish lacquered surface. 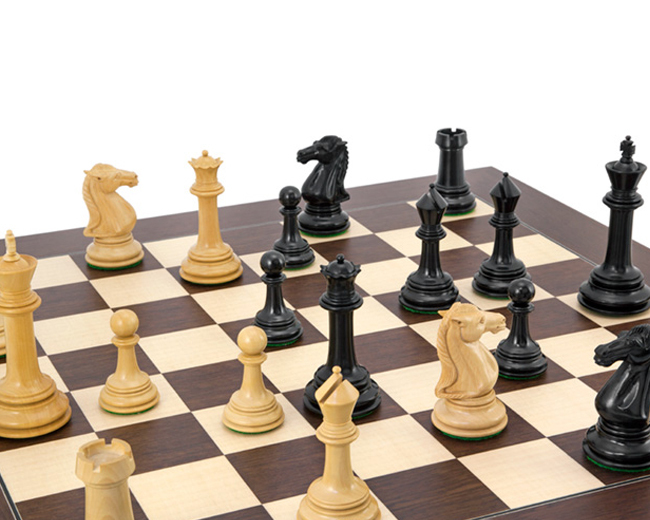 The rich browns, reds and yellows of the walnut really complement the black ebony and yellow boxwood chessmen creating a very traditional looking chess set with some subtle hints from classical architecture.